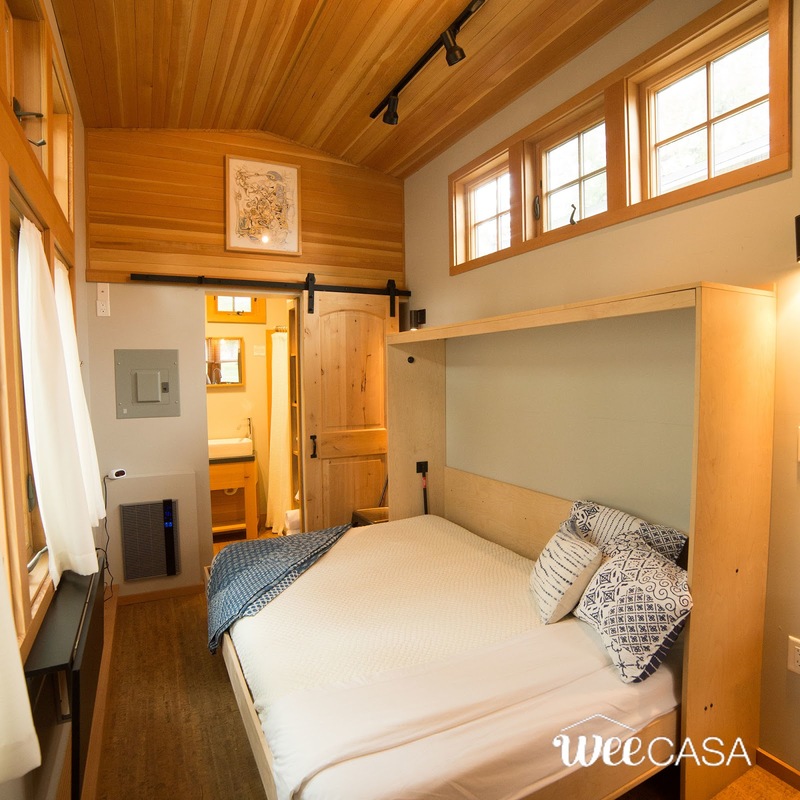 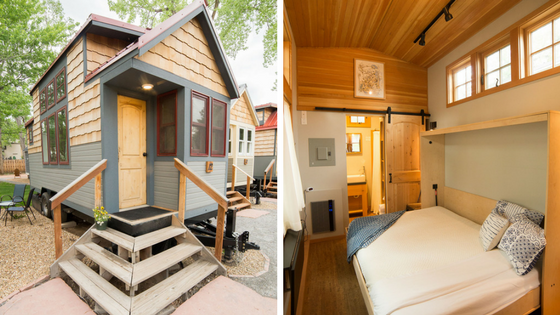 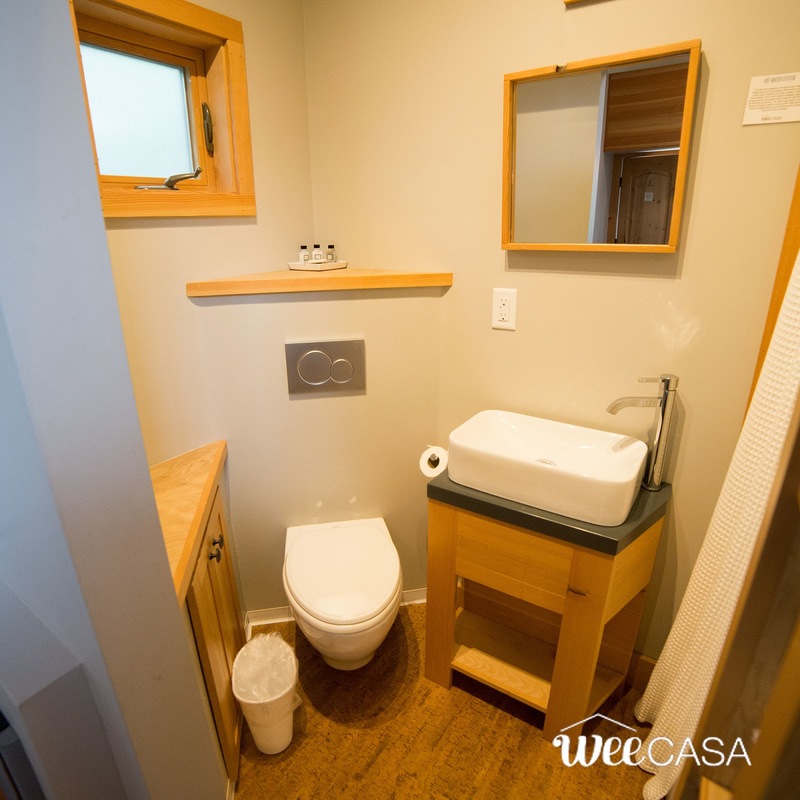 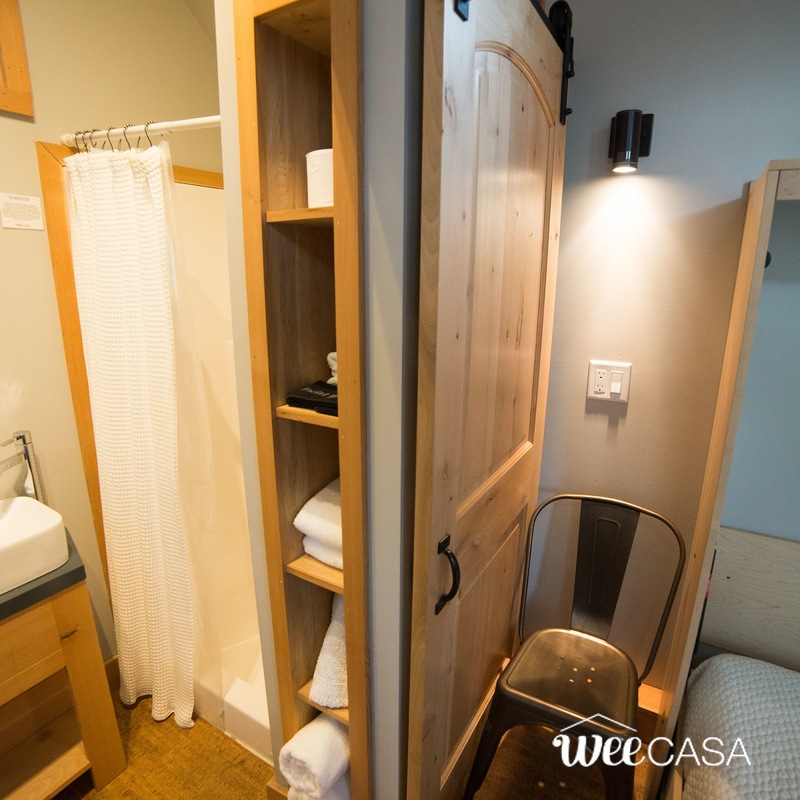 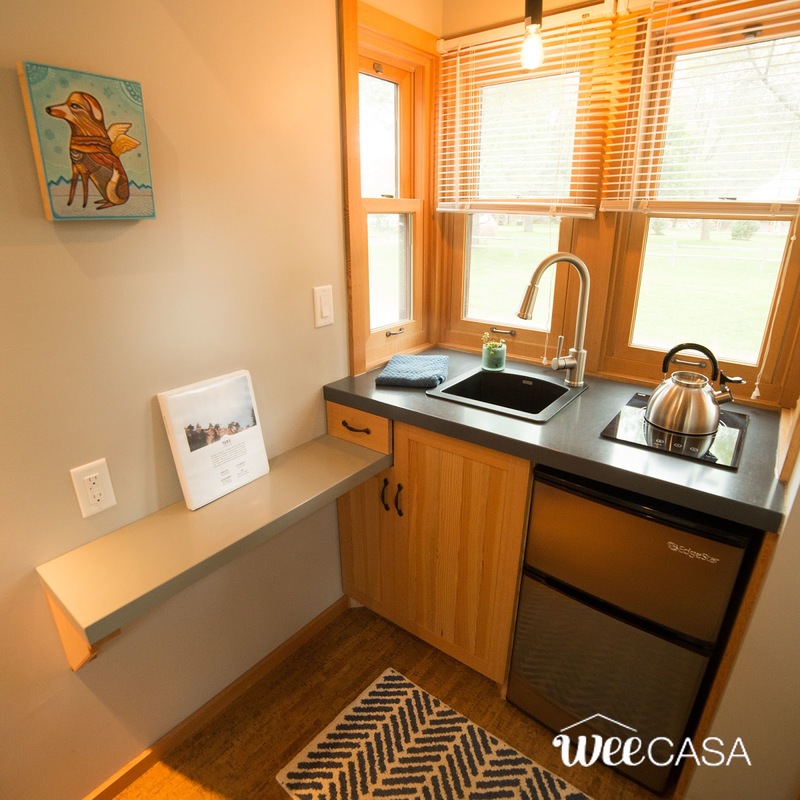 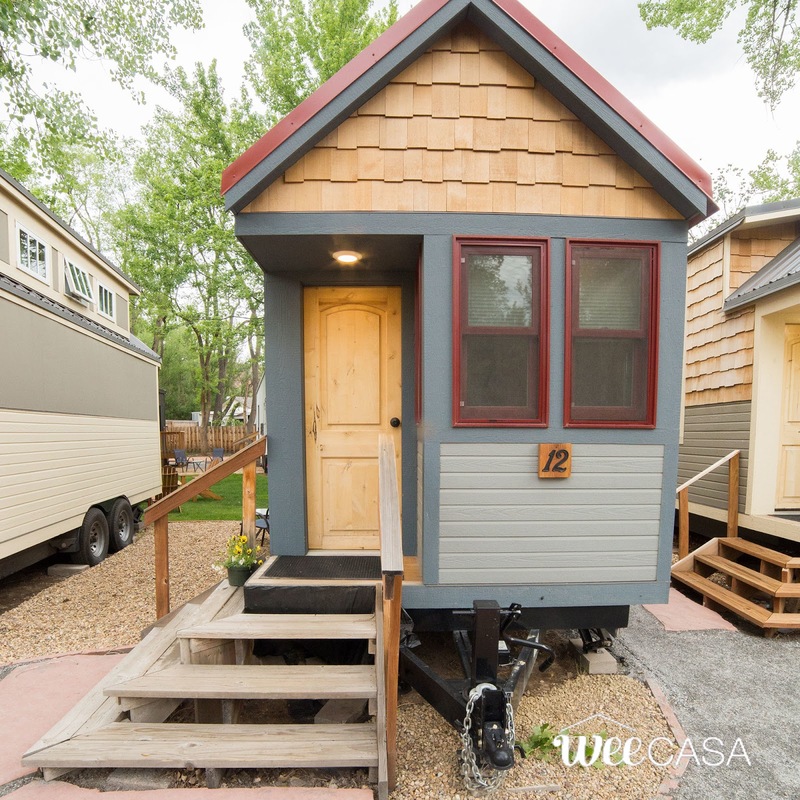 One of several tiny homes available at the WeeCasa Tiny House Resort is the River Birch. 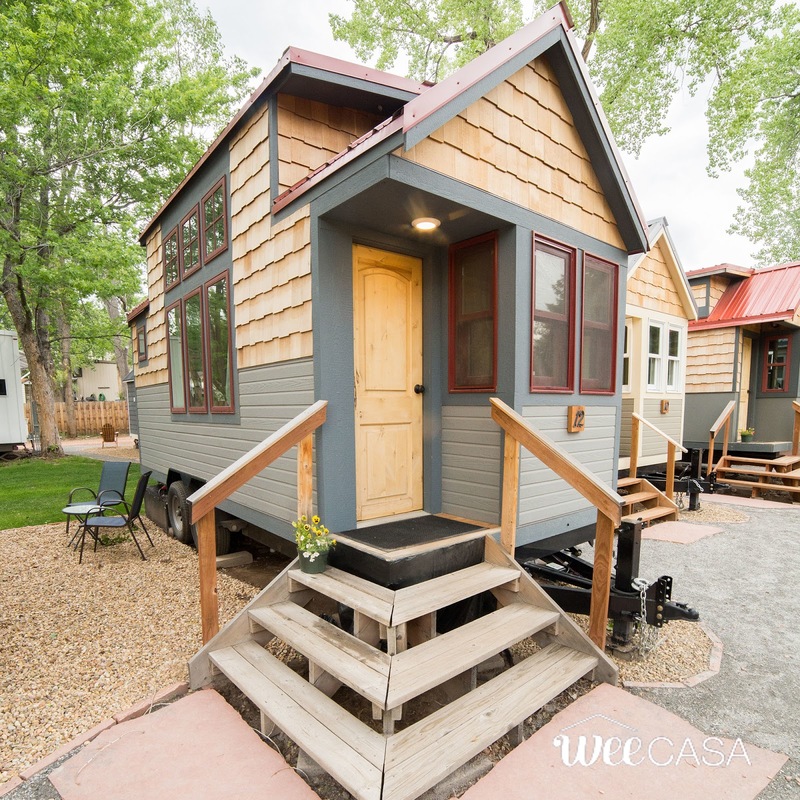 The River Birch features a 165-sq-ft single floor layout. 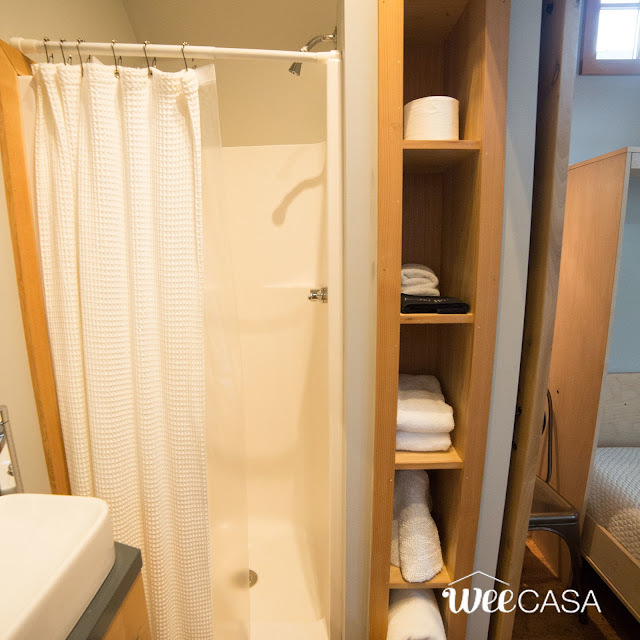 Inside is a queen-sized Murphy bed, a bathroom, a fold-down desk, and a small kitchen. There's also cork flooring throughout, plus heating and A/C available! 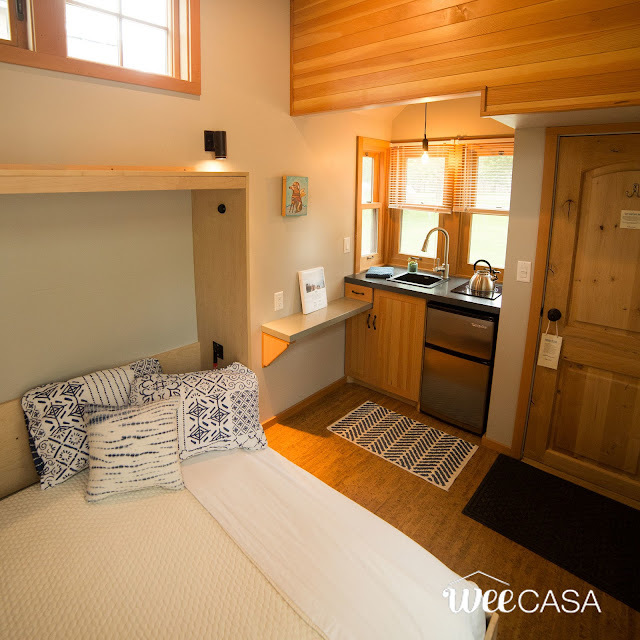 Ideal for couples, the River Birch is available for booking at $109 a night.